Few things are more enjoyable than relishing an iconic view from the comfort of your hotel room. 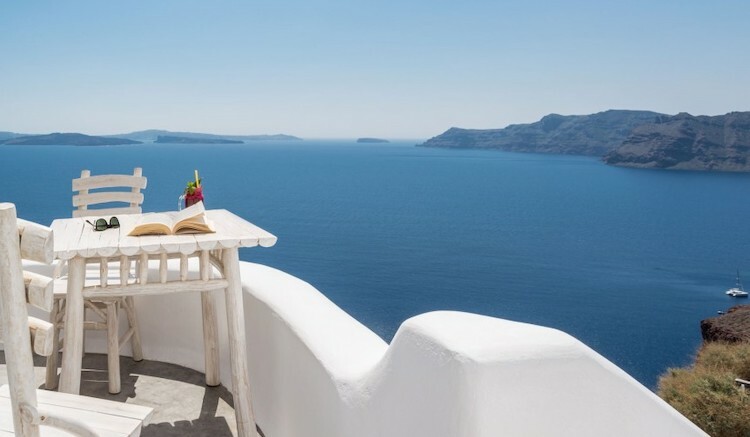 From the world’s grandest cities to sweeping and unforgettable views of the sea and beyond, these hotels can provide you a room with a view. The views at Jade Mountain are nothing short of legendary. Famous for its “missing” 4th wall, each of the 24 rooms – or sanctuaries, as they call them – has a completely open exterior wall for unobstructed views of the ocean and mountains surrounding the hotel. In fact, it is St. Lucia’s only resort property with the iconic view of both the Piti and Gros Piton mountains floating upon the Caribbean Sea. These 24 sanctuaries also have their own infinity pools as well as chromatherapy whirlpool tubs in the bathrooms with those same breathtaking views over sea. In the heart of the Champs Elysées, surrounded by some of the world’s most exclusive shopping boutiques, this hotel offers the absolute best views of the Eiffel Tower from any hotel in Paris. If you prefer to people watch, the rooms on the other side of the hotel boast views directly above the shops on Avenue Montagne. If you grow weary of gazing out over Paris’ beauty, there is also the world famous Alain Ducasse au Plaza Athénée – a 3 Michelin starred restaurant outfitted in crystal and chrome. While there is no shortage of luxurious hotels in London, the views from the Shangri-La put it in a class all its own. 180-degree panoramic views of the City of London, St. Paul’s Cathedral, Shakespeare’s Globe Theatre, and Tate Modern are available from the Iconic City View Room, and other City View rooms, while not panoramic, provide views of the Tower Bridge, London Eye, and various other landmarks. If you can bear to step away from the windows in your room, you will also find these amazing views at the 52nd floor gym and infinity pool. Il Salviatino is a painstakingly restored 15th century private villa set in the rolling hills just 15 minutes northeast of Florence’s historic center. While the property itself is indisputably gorgeous, with original frescoes inside and a beautiful 12.5 acre garden outside, it is truly the views that will leave you breathless. From the front veranda of the villa you are given expansive, unparalleled views of the city below, and as you climb upward in the villa (on either a grand marble staircase or hidden antique spiral staircase, of course) you are rewarded with a view of the Duomo itself. Santorini is known around the world for its high cliffs studded with white buildings, overlooking the Aegean Sea. At the Andronis, you are rewarded with magnificent, unobstructed vistas of the famous Santorini caldera from every suite or villa. The hotel itself is carved into the cliffside, ensuring that there will be no buildings to distract from your unbelievable view. If you can bear to leave the jacuzzi in your room overlooking the water, you will find a restaurant with incredible farm-to-table Greek cuisine as well as top-notch spa facilities. Built by famed Mexican architect Ricardo Legorreta, this resort was constructed in such a way that each room has its own terrace with a sweeping view of the Pacific Ocean. Thanks to its unique location on the coast, Las Brisas Ixtapa also has its own private beach that is inaccessible to the public – some guests have even reported seeing pods of whales playing in the quiet waters right offshore. The island of Malta is commonly described as an open air museum thanks to the 7,000 years of history and culture found there. It is no surprise then that the capital city of Valletta has been registered as a UNESCO World Heritage Site due to the historical significance of the city and the harbor. The Grand Hotel, located right on the doorstep of this captivating city, boasts wonderful views of Marsamxett Harbor and Manoel Island as well as the various 16th century forts dotting the coastline. It should come as no surprise that a hotel in Berlin has an incredible history of its own. The original Hotel Adlon was destroyed by fire in World War II after being partially pressed into service as a field hospital, and its empty plot became a buffer between East and West Germany during the Cold War. Rebuilt on these contested grounds just a few years after the fall of the Berlin Wall, it is again the number one name in luxury for Berlin. Just steps from the bullet-ridden Brandenburg Gate, it offers stunning views of the city or the hotel’s beautiful courtyard. In the heart of SoHo, just a stone’s throw from Tribeca and the West Village, this sky-scraping hotel has floor-to-ceiling windows in each of its room providing postcard-perfect views of the city. From the Skyline and SoHi view rooms, the Hudson River, Midtown Manhattan, Empire State Building, One World Trade Center and Brooklyn Bridge are all visible. During the summer months, the Dominick also operates a a rooftop pool with views of that famous Manhattan skyline – so start spreadin’ the news. The famous “Grand Dame of the Far East” was, at one point, voted best hotel in the world for several years in a row. With views like this, it’s easy to see – no pun intended – why. Each room category boasts astonishing views of its own – from the lower floors, look down on the hotel’s fleet of Rolls-Royces and famous fountain, or the streets full of luxury shopping opportunities below. For the ultimate view, book a Harbour View Room and gaze out over Victoria Harbour and the neon city skyline of Hong Kong Island.